Want to have a furry friend? Think twice before you get one home. Pets make our lives happier and healthier. They can make us smile and feel better, when we feel so awful inside. Puppies, kittens, or even lizards are all cute creatures, but it doesn’t mean that any of them will fit in with your lifestyle. There are many things to consider when you are ready for a pet. 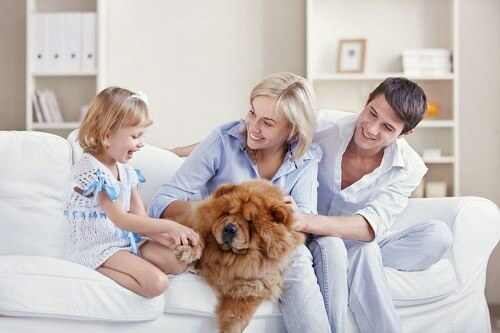 Check out some smart ways to choose the right pet. First of all you should decide what kind of pet you think you can own. Maybe it’s something more traditional, like a cat, or a dog. You might also want a hamster, a fish, a turtle, a bird, a frog, a guinea pig, or maybe you’ve always wanted to have a snake. Depending on what type of pet you want, it’s crucial to weight up all the pros and cons of bringing one home. The next step is to decide where to get your pet. There are a great number of places for any kind of pet. People offer pets independently, or you can go to a local shelter or pet store. Talk to different pet store or shelter employees and interview different breeders thoroughly. Adoption is always the best option, though there are animals that you can’t adopt. No matter where you’re going to get the pet, you should check out its health. See if this pet has any discharge coming from its eyes or nose, if it has some stomach troubles, sneezes or coughs, how it eats, and play. Make sure to get veterinarian to examine the pet before taking it. If you know that your animal has some health issues and you are ready to do anything possible to improve its life, then why not? Saving someone’s life – be it a human or an animal – is one of the best deeds you can do to make the world a better place to live in. Now that you know what pet you want to have, you should start thinking about pet care. Every pet requires proper care and you won’t cope with that without a veterinarian. Some pets need to be vaccinated against diseases. Some may also need to be neutered or spayed. Consider getting veterinary insurance for your pet in advance. 5. Are you ready for this commitment? Pets have different average lifespans, but many of them can live for a really long time. This is not about fish and hamsters, but about dogs and cats that have pretty long lifespans, and about birds that can live a very long time. Some dogs live from 15 to 20 years, and certain parrots live up to 80, mice can live about a year and fish can sometimes die even within an hour. Make sure you are willing to sign on that long. Every pet takes a lot of commitment. Having a pet is like having a child, which means you should be ready to spend a lot of time with your furry friend, and have a lot of patience to cope with your responsibilities. Dogs, cats and even rabbits need to be potty trained and it takes plenty of patience and plenty of time to do that. Make sure you can have a time for all those things. As I mentioned above, any kind of pet needs care. Your independent research and veterinarian will tell you what you need. When your new pet will be officially yours, take it to the veterinarian, so you can learn about several important things such as the right nutrition, proper care, how and where it should be housed, etc. Don’t expect your new pet to fall in love with you right away. It’s a matter of time. My dog was like my shadow the minute she appeared in my house. But if that isn’t the case with your pet, get to know it better. Spend more time with it, handle it, play, and just get to know each other. Owning a pet is amazingly rewarding. No matter whether it’s a puppy or a snake, it has the capacity for enormous depths of affection and love. They can make your life brighter and help you become a better person. What kind of pet do you want to have? Do you believe everyone should have at least one pet? Share your thoughts, please.